Google Clips: The future of cameras? When I first received my Google Clips unit for review, I was curious. How would I use the small, portable camera in my workflow? While Google Clips has some really cool technology and is a sign of what the future might bring, it’s also a tad bit creepy. Google Clips connects to your phone via a private Wi-Fi network or Bluetooth, and automatically records short video clips (which are really just fast-capture still images put together) when it detects faces. There’s no sound recorded at all. You can also click the shutter button (or use the app) to manually control the camera. The clips are then saved to the camera’s internal memory and displayed on your phone, where they can be downloaded to your phone or Google Photos account. 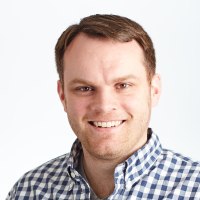 It’s almost like having your own personalized animated GIF. You can also export a frame from the video clip as a still image. As you use Google Clips more, it senses familiar faces and ends up capturing more clips with those people included. It’s pretty intelligent — after I first created a few clips manually of my friend Cathy, it started to recognize her more and more. 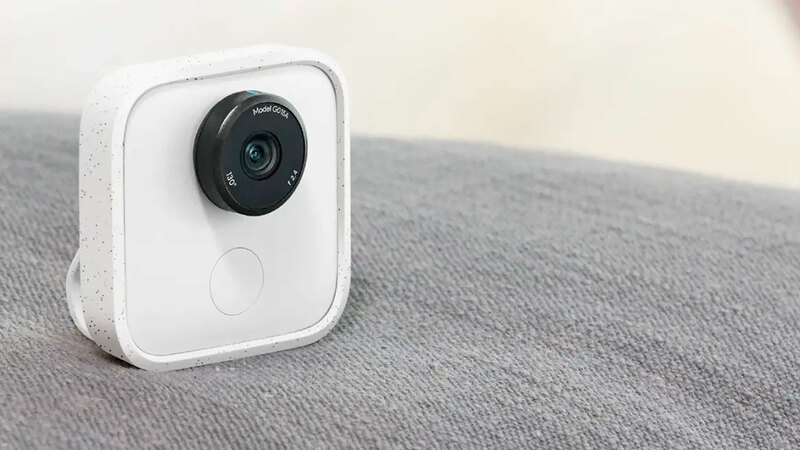 The camera on Google Clips is a fixed, f/2.4, 130-degree field of view lens, so you’re getting a pretty wide perspective. It comes with 16 GB of internal memory, and records at 15fps. Using the smart capture feature, where Google Clips automatically records when it senses faces, you’ll get roughly three hours of battery life. The device can be charged with a standard USB-C cable. What I did find interesting is that there’s no lens cap or any other type of protection to the camera lens. Instead, Google has outfitted it with Corning Gorilla Glass 3, which is similar to the super-strong glass you’ll find on your phone’s back camera. The downside? You’re undoubtedly going to get fingerprints on the lens, especially because you have to turn the lens to turn the camera on and off. The video quality leaves quite a bit to be desired. Out of the box, it recorded at a much lower video quality than what my iPhone X can give me. You can change the quality to a higher level, which takes up more space (the clips on the Google Clips website are clearly the higher quality), but it was still subpar compared to my phone. Google Clips apps are available for both iOS and Android devices. By default on my iPhone, it converted the video clips to live photos (which were turned into still JPEGs on my computer), but you can also save as MP4 videos or GIFs. One big downfall — once you save a clip to your phone or Google Photos account, it removes it from the Google Clips app. There’s no getting it back should you want to save it as a different format. Regardless of the format, the results from Google Clips tended to lack depth and have grain and blown-out highlights. The quality just isn’t there. Google Clips seems to be more concerned about capturing the moment — not necessarily the results it provides. I struggled to find a real use for Google Clips at first. Its website shows several clips featuring families and their children as they play, cook, etc. I can see the usage where you clip the Google Clips camera to your child’s favorite toy, and it begins recording them automatically. It allows you to capture those moments without being the helicopter mom or dad who sneaks up with a big camera. Beyond that, it’d be great for groups. Think birthday parties, holiday gatherings and more. But as a professional photographer, I really don’t see this fitting into my regular workflow. I originally asked some clients if I could bring the camera to one of their public events for testing. They were somewhat creeped out by the idea that the camera could automatically capture faces — it just didn’t sit well with them. I ultimately decided that it might be useful for behind-the-scenes footage. While helping my friend Cathy set up for a shoot, I clipped the camera to my shirt pocket. Doing so made the shirt pocket sag, and in turn, made the camera to point down. I quickly learned that you needed to either hold it with your hand or clip it on to something more secure and at eye-level. And sometimes, when you’re rushing to finish getting ready for a client, that’s just not realistic. Google Clips is a great concept, but I don’t think it’s quite there yet. While this generation one device is a “miss” from me, I do think it has a ton of potential for the future. Google Clips retails for $249.